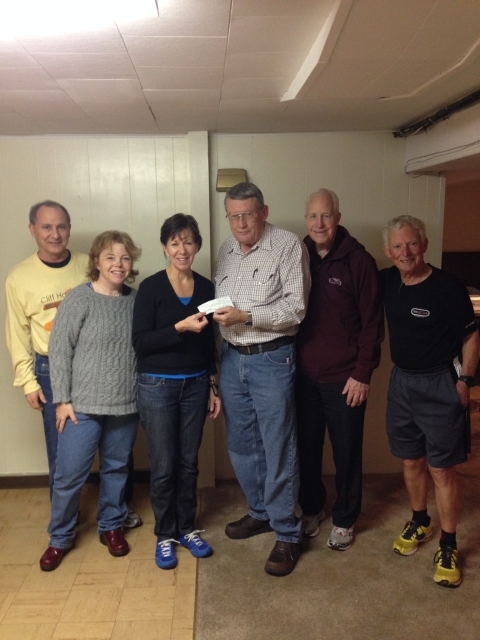 The Kansas City Track Club recently received a bequest of $1,500 in the name of Don Welch, a longtime member of KCTC. Don was a track club board member for many years. He would often be seen working at the finish line of races. Don died several years ago while out on a run. Several years ago, the club purchased a bench to honor his memory and placed it on a running trail in Overland Park. Don’s mother died recently and left $1,500 to the club that Don loved so much. KCTC plans to use the money to buy a refrigerator and other items needed for the new office. We can’t wait for everyone to see it!